Torys is pleased to introduce the mobile version of Torys.com. To visit us on your mobile device, click here. 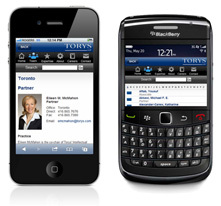 Torys' mobile site works on iPhones, BlackBerrys and other smart phones and tablets. iPhone users can also download our free iPhone app.